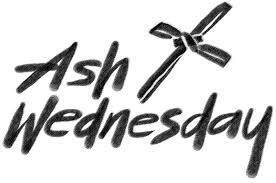 Posted in Liturgical Year | Enter your password to view comments. Tomi Reichental was born in Slovakia in 1935 and had a typical rural childhood until the ugly existence of antisemitism began to impact on his life. Liberties we all take for granted were stolen from him and he was treated with ever increasing hostility. Eventually he was captured by the Nazis and incarcerated in Bergen-Belsen concentration camp. As the number of Holocaust survivors diminishes, Tomi is acutely aware that he is one of the final witnesses. He feels compelled to tell his story to young people �so that they will know what happened in the Holocaust. Tomi believes he owes it to the victims and he owes it to the survivors to ensure that this horrendous episode in European history is never forgotten. 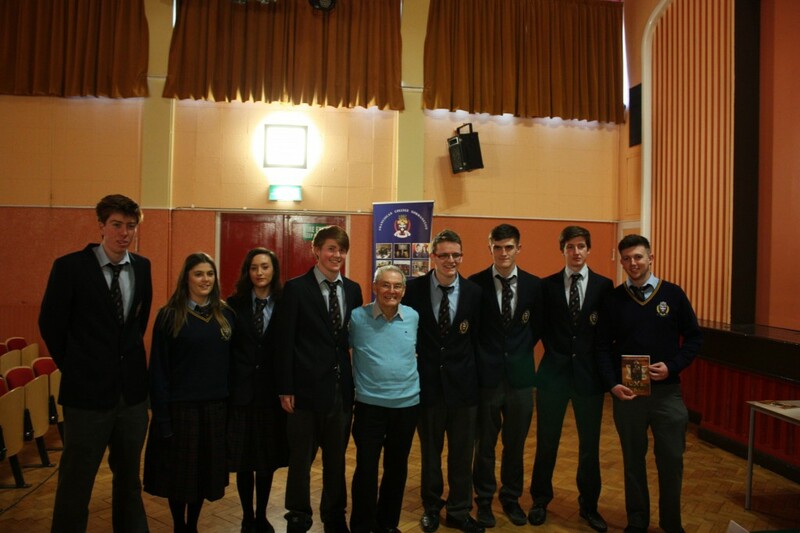 It was a privilege and an honour for our senior level students to hear Tomi’s story for themselves today in Franciscan College Gormanston. He told us the story of how it happened that 35 members of his family were murdered and what became of those who were lucky enough to survive. 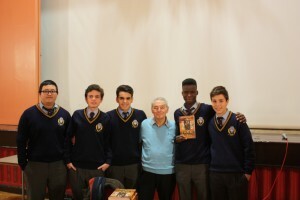 The students were shocked by the inhumanity of the situation and saddened by the profound effect it had on Tomi himself – he could not speak about these events for more than 50 years. We are indebted to him for giving so generously of his time and energy today. 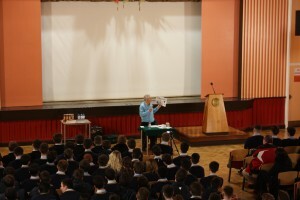 He spoke individually with many students, signed copies of his book and allowed us to take photos as a memento of his visit. Here is a short prezi with details of the proposed Camino trip for fifth years next Easter. As the class of 2014 leave their school days behind and go their separate ways, may they find joy and fulfillment in the different paths they choose. May they seek and offer help whenever it is needed. May they find strength to allow them to weather the storms of life. May they contribute to the greatness of the world around them. May they find happiness in their pursuits and their relationships. These two pieces sum up the best of everything that will help these past pupils find true meaning and joy in life. 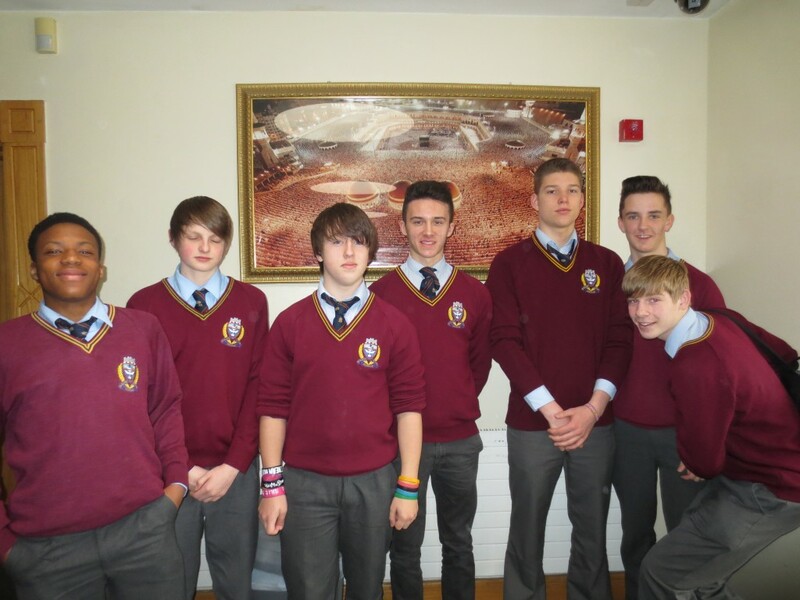 On 10th April 2014, six brave students from Gormanston College arrived in Spain to undertake the challenge of walking 165km to Santiago de Compostela along the Camino Frances. The walk began from O’Cebreiro early on Friday 11th in the cool, misty hills of Galicia in Northern Spain. That day the students saw beautiful scenery and well-earned views after a number of steep and arduous up-hill climbs. On arrival into Triacastela, everyone settled into the dormitory, freshened up, did some laundry, checked and managed their blisters, and explored the town. Dinner that evening was the wonderful creation of the boys themselves. Each day followed a similar pattern. The weather was glorious and the students took every opportunity to get a tan. Some of the highlights of the days included the wide variety of wonderful pilgrims they encountered along the way. 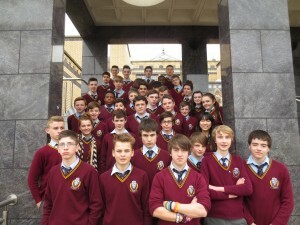 The Gormanston boys made a great impression on everyone they met. People of all ages and nationalities complimented the boys on their kindness, friendliness and courage on the Camino. The spirit in which each student undertook the walk was admirable. 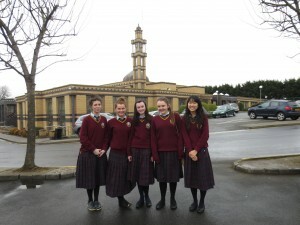 They were sociable, mature and very considerate of others. They made the trip most enjoyable and worthwhile for the accompanying teachers. The evening meal was also a great opportunity to share stories and have some fun after the hard day’s trekking. Some of the difficulties faced were the physical ones. Blisters, muscle ache and a bit of sunburn made the pilgrimage tough. But the boys never complained or showed any signs of giving up. They remained positive and grateful at all times. As the students walked the way, they carried an Irish flag. As a wonderful souvenir of the trip, they asked every person they met to sign it and got it stamped in every coffee shop along the way. What a lovely idea. On reaching the Cathedral in Santiago, they stormed into the square full of joy, raising the flag high over their heads. With pride each one received their Certificate or Compostela for their great achievement and then visited the Cathedral to give praise and thanks to God. Each of the boys showed great appreciation for the huge accomplishment they had successfully completed and all are eager to return and travel an extended part of the Camino. 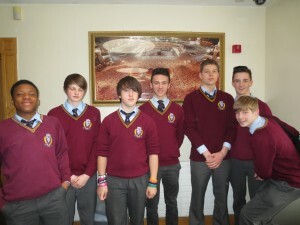 Well done to Thomas Keane, Cillian O’Connor Barry, Richard Donnelly Devine, Tristan Parker, Evan Murphy and Luke O’Neill. They are superstars. May they continue to reap the rewards of this journey for many years to come. 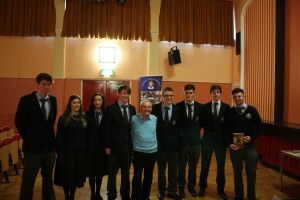 Here’s a slideshow of the inspirational students of Franciscan College Gormanston, who walked 165km from O Cebreiro to Santiago de Compostela during the Easter holidays. A full blog report will be posted soon, but here are some photos for now! Well done to those brilliant boys. Third year students went on a visit to the Islamic Cultural Centre and Mosque in Clonskeagh. Mr Ali Selim showed them photographs of three holy Muslim shrines – the Ka’aba, the Mosque of the Prophet in Medina and Al Aqsa Mosque in Jerusalem. He then took our students into the Mosque itself where he explained about the religious beliefs and practices of Islam. His talk included an explanation of the Five Pillars of Islam, a history of the prophets and an explanation of the importance of prayer and pilgrimage in the lives of Muslim people. Mr Selim explained the significance of various items in the mosque, such as the set of clocks and the mihrab in the kiblah wall. He took our students to watch a short video about the contribution of arabic culture to society in the dark ages which still impacts society today. Mr Selim was very generous with his time and answered any questions that the students had. 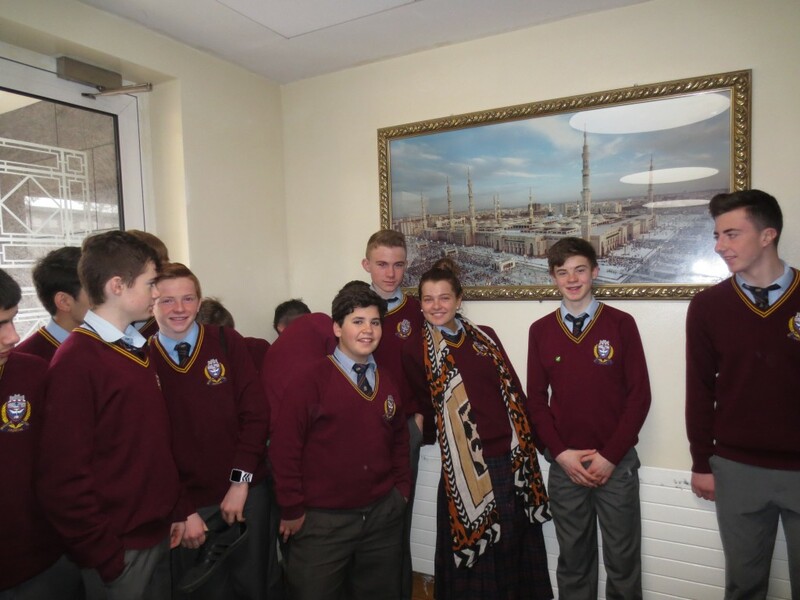 This visit will be of great benefit to the students in the writing up of their journal and in their revision for the Junior Certificate examinations. message this year. Read more here as reported in the Huffington Post. Pope Francis is as inspirational as always. 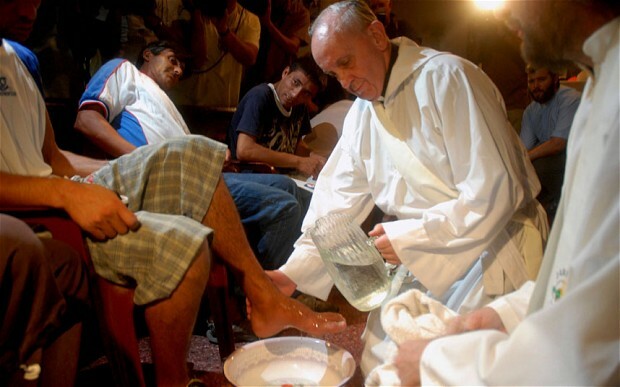 Poverty, not popularity, drives this humble man. 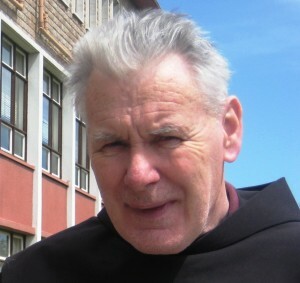 It’s been a year since the passing of the most beloved Fr Eamonn Newell OFM. He passed away on the day of the year he claimed to be his favourite – the first day of spring. Memories and thoughts of this wise and inspirational man come flooding back to all those who knew him well. His smile, his clever insights, his shyness, his kindness, his genuine interest in others, his sense of humour, his brilliant teaching, his commitment to Clann Phadraig and his personal generosity are what I remember about him most. When the other Friars had to leave the Castle in September 2012, Fr Eamonn good-heartedly (and admirably) refused to move. He was known as the ‘King of the Castle’. It is sad and fitting that the Castle was where he passed away. He is buried in a private plot with other Franciscans, past pupils and former staff of the college as well as a number of infants. 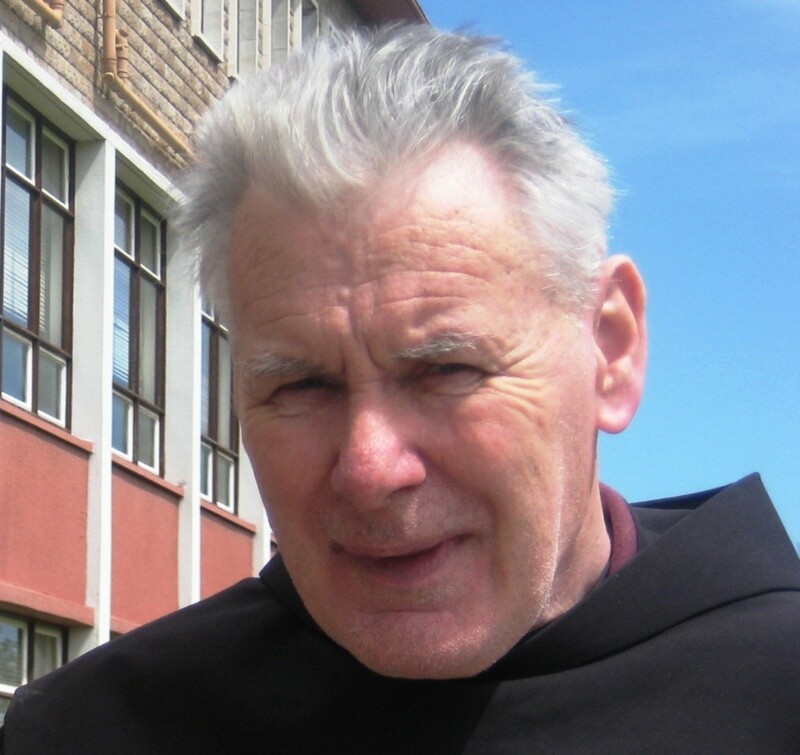 Fr Eamonn will always be remembered and loved; we are comforted to know that he is the presence of the Lord.